As you may already know, it’s vital to keep your teeth, gums, and braces clean while on your orthodontic journey. This can help you avoid major dental issues as well as help you stay on track toward your perfect smile. However, doing so can be tricky. 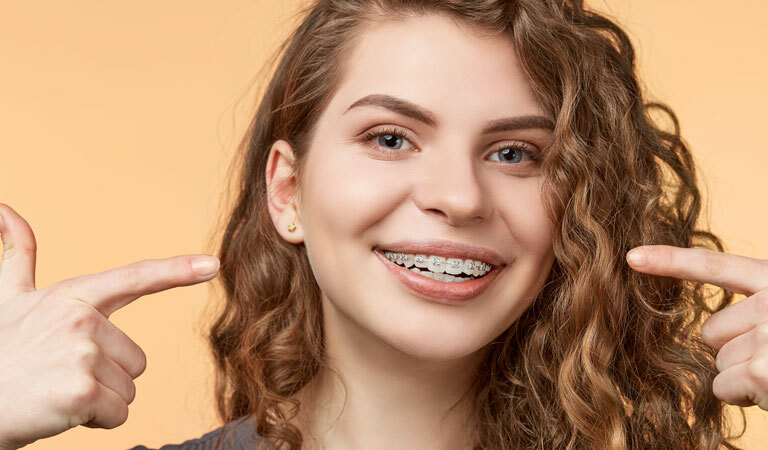 So, to help you keep your smile in tip-top shape while you have braces in Grayslake, Antioch and Gurnee, Illinois, Dr. Sellke & Reily and our orthodontic team have some recommendations for you. First, brush your teeth twice a day—more if possible. As you do so, use a toothbrush with soft bristles and toothpaste with fluoride. The soft bristles will scrub your chompers and maintain your gums. The fluoride toothpaste will strengthen your teeth regularly. When you’ve completed your brushing technique, use an interdental brush to clean the hard-to-reach areas around your braces. Second, floss your teeth as much as possible. In fact, it’s best to floss after each meal and snack because there is a high chance you’ll have food stuck in your teeth and around your braces after you eat. To properly floss, use the special loop-shaped flossing utensil we gave you to thread the floss in the space between the wire and tooth. From there, send the floss in the crack and clean the side of each tooth as well as along the gumline. Third, visit your dentist every six months for a routine dental cleaning and checkup. This is important because the treatment provided during this appointment can completely remove the harmful plaque and tartar around your braces that threaten your smile. If you don’t remove them regularly, you can fall victim to cavities and periodontal disease. Would you like to know more about how to care for your smile when you have braces? If so, please don’t hesitate to call Orthodontic Specialists of Lake County at 847-223-2876. Our dental team will be happy to help you, even if it’s just by answering your questions!